On June 29, a Moscow court convicted five Chechen charged with the murder of anti-Putin Boris Nemtsov. All five have maintained their innocence along the entire trail claiming they’re framed by Russian security agencies to demonize Chechen resistance against Russian occupation. Nemtsov, former deputy prime minister under then-President Boris Yeltsin, a US agent in Moscow was gunned down in downtown Moscow on February 27, 2015 two days before he was to lead a protest against Russian government’s war on Ukraine. Five persons were arrested on March 8 last year on suspicion of murdering Nemtsov: Zaur Dadayev, Anzor and Shadid Gubashev, Tamerlan Eskerkhanov and Khamzat Bakhayev. Jewish media blamed the so-called ‘Islamists’ for the murder as Boris Nemtsov supported Charlie Hebdo cartoonist who became victims of a false flag to demonize 9 million French Muslims for Israel. Pro-Putin politicians and bloggers blamed CIA-Mossad-MI6 for killing Nemtsov in order to bring a regime change in Moscow. On March 5, 2015, Pinchas Goldschmidt claimed at the Israeli propaganda news website Tablet magazine that Boris Nemtsov was closet Jew – born to a Jewish mother but later converted to Russian Orthodoxy. 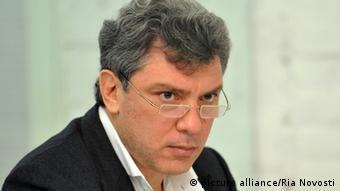 “Nemtsov and many other Russian politicians of Jewish descent, whether part of the opposition or supporters of Putin, are more reluctant today than ever before to express their Jewishness openly, trying to hide their Jewish descent behind the façade of a religious conversion, not unlike the Jews in 19th-century Germany, and not unlike Heinrich Heine, the famous German Jewish writer who considered his conversion to Christianity as the entrance ticket to European culture,” Goldschmidt said. On February 27, 2015, US-based anti-Muslim Russian propagandist, The Saker called Nemtsov murder a false flag to punish Vladimir Putin for his anti-Ukraine stand. The former Soviet Union president Mikhail Gorbachev said that the killing of Nemtsov is aimed at “destabilizing the situation in the country, at heightening confrontation” with the West. On February 28, 2015, American Jewish writer and author Stephen Lendman wrote that Boris Nemtsov along with Aleksey Navalny, Garry Kasparov, Vladimir Ryzhkov, and other Putin opponents, had close Western ties. He got State Department funding through the National Endowment for Democracy (founded by Alan Weinstein and pro-Israel neocons). It wages war on democracy worldwide. “In 2009, Nemtsov and Kasparov met personally with Obama. They discussed anti-Putin tactics – regime change by any other name,” said Lendman.